Continuing from my last post, Lessons from a Disney New Year (Part 1), we left off with the question: How can we utilize Disney’s business principles to strengthen Physical Therapy practice and maintain a competitive advantage? To answer these questions, we must first identify the state of each principle in current Physical Therapy practice. Please read here for my thoughts from Part 1. (1) Order Qualifier: Uniqueness – Disney is unique and constantly improving. Is Physical Therapy unique and constantly improving? This is really a two part business practice by Disney so I’ll discuss each part separately. To achieve Disney standards, Physical Therapists must first distinguish themselves from other apparently similar professions (not that I have anything against apparently similar professions). Our problem as Physical Therapists is that we lack a unique, globally (and easily) recognized services, duties, responsibilities, and especially - brand name/icon/phrase/identifier. 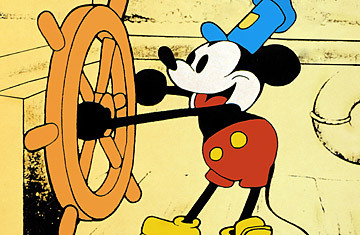 Disney’s key identifier: Mickey Mouse, is one, if not THE most recognizable and identifiable icon in our world today. Unfortunately, we as Physical Therapists do not have such an icon. I’ve heard Physical Therapists described as, or in combination of, a chiropractor, a massage therapist, a personal trainer, a nurse that walks people in the hospital, an athletic trainer, a pain counselor, a movement expert, an exercise specialist who uses exercise for rehabilitation… the list goes on and on. Nothing is truly definitive in the public’s eyes or ears (and, perhaps in our own). Say: chiropractor – words like spine, adjustment, or “cracked my back” tend to come to mind. Say: massage therapist – simply the word “massage” or the image of hands being placed on a sore neck and shoulders will immediately come to mind. For trainers: words like exercise, fitness, weight room, losing weight, sport performance come to mind. I know I’m preaching to the choir when I say that Physical Therapists do so much more than we are credited for, and, that Physical Therapists practice quite differently between each setting and even within each setting. Nevertheless, we still painfully lack an iconic moment which can help the public quickly identify Physical Therapists. Strongly branding Physical Therapy has been a monumental struggle. As said before, Physical Therapists work in so many different settings, and, even in each setting each clinician is just as diverse in practice. Perhaps we can use Disney as a model. Disney is much more than “just” Mickey Mouse. Yet, we all automatically identify Mickey with Disney. Despite that key iconic moment, we also automatically associate Disney with its many other achievements, products, and services in the same vein. What does this tell us? Simply this: Physical Therapists need our own iconizing moment; we need a Mickey Mouse Moment for Physical Therapy realizing that such a moment will not take away from the breadth of our scope of practice. APTA’s Vision 2020 states the phrase for Physical Therapist as experts in areas “related to movement, function, and health.” Don’t get me wrong, I support the vision. I’m just not sure if the general public will have a consensus identification of “movement, function, and health” equals Physical Therapist the way they do "Mickey Mouse" equals Disney (or ... “spine” equals chiropractor). The Physical Therapist’s iconic moment needs to be accurate and MARKETABLE. Sometimes what we do is hard to market – even to each other! After learning more about Disney, I’m just not sure “movement, function, and health” is the Mickey Mouse we need. I mentioned in my preface, I don’t have the answers to everything – not by a long shot… so I pose this question: What is/should a Physical Therapist’s Mickey Mouse Moment look like, sound like, be written as… be at all? The only phrase that came to my mind that applies to ALL PT settings is: “Pain Relief & Movement Medicine.” Perhaps these aren’t the best pair of phrases, nevertheless, that’s all I was able to come up with. I know this branding issue has been discussed many MANY times – perhaps reflecting on Disney will give us new ideas or polish up the already good ones? I remember seeing on Twitter some really good ideas as of late so I hope you will chime in! Better yet, Tweet Me! and I will retweet you using #brandPT. Disney is also ever changing and ever improving. In Physical Therapy, our evidence continues to improve, however, the human body doesn’t change all that much. What does change and is already constantly improving? Technology. Physical modalities, imaging, and biofeedback technology MUST be continually explored, re-researched, adapted, improved, and developed. Why? Because we live in a technologically dominant world; it is business suicide to ignore this facet of Physical Therapy business practice. 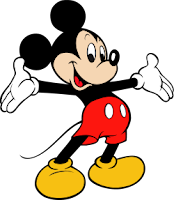 Imagine if Disney never explored computerized animation and stuck with the “old ways” of hand drawn full length features. Imagine if Disney never blended Mickey Mouse with patriotism, Star Wars, the Old West, ABC, and other cultures. Oh, yes – imagine if Disney didn’t acquire Pixar!? Disney would not be Disney without these continual technological integrations and business improvements. We all know ultrasound doesn’t have the best evidence for most musculoskeletal impairments and that many of the classic physical modalities have proven to be less than efficacious. 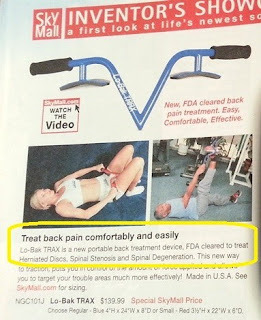 Perhaps this is just my bioengineering side confessing my own guilt for lack of action; Physical Therapists are highly creative individuals – perhaps it is time that we look into equipment design, patents, and information technologies which can be applied to patient care, patient education, and compliance/accountability. 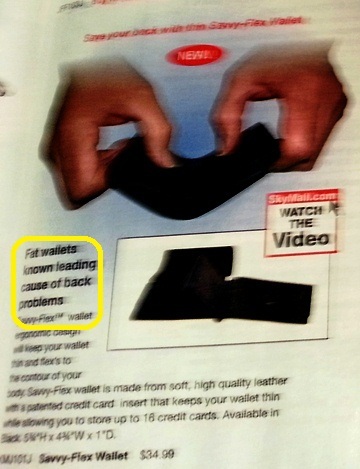 "Fat wallets known leading cause of back problems"??? "FDA cleared to treat Herniated Discs, Spinal Stenosis and Spinal Degeneration"??? Oh, Really!? … My fellow Physical Therapists, I think we can do a LOT better. Again, I don’t have all the answers on this one and perhaps this is where Disney’s magic happens; Disney has Imagineers constantly thinking up the next best thing. Perhaps Physical Therapy corporations and hospital based operations need to support more Physical Therapy research & development. How else can we emulate Disney’s success through this Order Qualifier principle if we don’t continually change and improve with technology? Thoughts? (2) Order Loser: Disney is Quality, Consistently. Does Physical Therapy have consistent quality? EVERY Disney Cast Member will basically give you the same service experience given their duty. This is part of the magic of Disney; no matter where you go, Fantasyland is Fantasyland and Adventureland is still Adventureland. Well what does this mean for Physical Therapy practice? *Sighs...* This one is a bit difficult to swallow... even for me as I’m writing it. As mentioned above in the “Unique” Order Qualifier section above, Physical Therapy practice is very diverse in practice and thus is has much variability. Variability means that the clinical approach, the methods, the techniques, and therefore the outcomes are just as different. We see this in social media all the time and we’ve all said it - “All PT is not made equal.” Given that we lack our Mickey Mouse Moment, perhaps we should being thinking about becoming more equal. The quality and consistency of service rendered by Disney Cast Members are products of the highest level of service training. This quality is perpetuated by the minute by minute expectations of Disney management and customer a like. One possible solution is as follows: since the DPT is in full motion, once the DPT becomes solidly set in (say 2015), the Physical Therapy profession could benefit from the same philosophy of training Disney has for its Cast Members. Disney doesn’t think it’s too much to ask for Cast Members in each setting to be consistent, and, I think it’s not unrealistic to consider this for the future of Physical Therapy practice. For us PT’s, post professional residencies and fellowships can be held as a hiring prerequisite for new graduates, or, perhaps more effectively – Physical Therapy managers should provide a substantial financial or benefit incentive to having completed residency and/or fellowship as a new graduate. Over time, this would in effect “raise the bar” at a national level (speaking of the United States, of course) to the point where a post-doctorate is seen as the now fellowship status. Of course, raising the bar is always a good thing when it comes to quality standards. This idea for post-graduate training is appropriate for new graduates, however, is unreasonable for already practicing clinicians; it would be downright unfair to ask practicing clinicians to “go back” for “more training” and insult their already gathered clinical experience. Personally, I see this potential scenario as being in the duty and stewardship of the Physical Therapy hiring managers. Academia can pump out all the DPT’s we want. We can even make a combined DPT/DSc/Ph.D. degree in Physical Therapy. None of that will matter if the people paying Physical Therapists don’t care and don’t incentivize for better quality - consistent quality for that matter. After all, we’re talking business and business principles. To make this truly work, residencies and fellowship would have to be strictly unified in terms of methodology, training, approaches, didactics, etc. “All PT is not made equal” but we really need to become more equal in order to prove a unified quality front. A Disney experience is largely the same because Cast Members are trained the same way; sure, there are creative differences which Cast Members are allowed (ie. the Skippers at Disney’s World Famous Jungle Cruise) – however, these experiences are largely more similar than they are different. BUT! Physical Therapy an art and science, correct? Would unifying and standardizing national residency/fellowship programs lose that art of therapy? I should say no. Disney is highly unified and is FAR from losing its artistic side. Disney is inherently artistic, and, the art of caring in Physical Therapy flows from similar veins. Disney isn’t talking lemmings and neither am I; Disney’s about consistency and high quality. I think this principle is a wise place where Physical Therapists can turn to for the future. (3) Order Winner: The nostalgic Disney experience creates self-marketing customer loyalty. Does Physical Therapy practice provide an experience that does the same? As a profession, we have a lot to learn about both marketing and the act of providing customer service; how to leave patients and clients with that Mickey Mouse Moment where they long to come back (clinical compliance plus customer loyalty) and become absolutely eager to share their experience (market perpetuation). Elements of business school need to be tied into the DPT curriculum, and, courses should be authorized as board approved CEU’s. Suggested key topics could include Operations Management, Supply Chain Management, Marketing, Microeconomics, Social Psychology, and Customer Satisfaction. Additionally, it may be helpful to glean from the Disney experience as listed in Part 1 – as well as the many other acclaimed service companies such as Southwest Airlines & Ritz-Carlton Hotels. Disney, after all, tends to be a family gig. I’ve always wondered, why not Physical Therapy? We have family physicians, family dentists, family optometrists… we even have family hair stylists! I think exploring the possibility of a Primary Care Physical Therapist should be considered. After all, who is better qualified to detect developmental impairments, and, who better to prevent injuries during adulthood (work injuries) all the way through geriatrics (fall prevention) – Just a thought. I’ve always thought it made sense as a business concept for the profession. A large part of healthcare is an experience for which patients, family, and clients receive service; it could be said that healthcare itself is in the business of service. Physical Therapists need much more schooling for business acumen. In this day, age, and economy, it is no longer the case that being better means getting paid better. These days, being better means you get to stay in business and fight another day. We need to restructure our thinking as a professional culture; being clinical experts is no longer enough - being astute business minded professionals needs to be just as important. Barriers: Like all change, positive or negative, change means barriers. Perhaps the most striking barrier we have is general lack of autonomy. We can’t choose our own adventure if we don't own the book. Physical Therapists need national (if not global) direct access and autonomy. We also need to fight for an expanded scope of practice (ie. dry needling, imaging, military prescriptions rights… how about diagnosis rights?!) Nevertheless, autonomy is the cornerstone for which a better future for Physical Therapy practice can be built. So if there is a take away for these two posts, I’d say that the greatest lesson I gleaned from my Disney New Year is that Physical Therapists need to create a unified Physical Therapy Mickey Mouse Moment. We need to build on that moment to create that unique iconic experience for our patients, clients, and public at large. From that icon we can forge unified training to provide consistent, high quality care using strong business acumen to bring Disney level customer service in order to perpetuate self-marketing, customer loyalty. Phew! Wow. I think that’s it! I want to thank you again for sharing with me in these Lessons from a Disney New Year. It was a challenging write up to balance and express. I look forward to learning from your comments and wisdom. Ben, wow, these two posts are what makes you more than just a PT. I'm sure your patients and co-workers all realize that too. P.S. That's why I'm branding myself with the E theme/logos! Thank you, Erson. I'm just glad that my voice can make a positive impact for our profession, and thus, the public! I'm loving the new "E" themes! Dr. E, E-clectic approaches, and I even like how the E looks kind of like the EDGE!! Excellent choice of market image! Ben, very interesting post! I agree with you that it will be very challenging finding our global, iconic, “Mickey Mouse” moment. I also agree that we do need to “raise the bar” of quality for our profession and I think residency type programs will be in our future. However the first thing we need to do to “raise the bar” is to chant daily the phrase “provide skilled & medically necessary care.” When we don’t do this, we REALLY de-value our profession in the eyes of consumers because patients & their friends/families (potential patients) view PT’s as “just walking pt’s in the hospital” or “just helping me with the same exercises I do at home.” Unfortunately this happens WAY TOO MUCH!